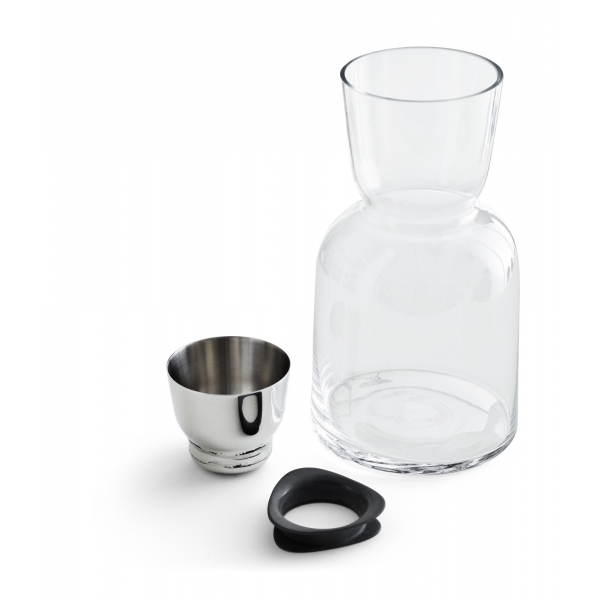 Benjamin Hubert Ltd has designed W/W, a new wine breather-carafe and stackable glasses. 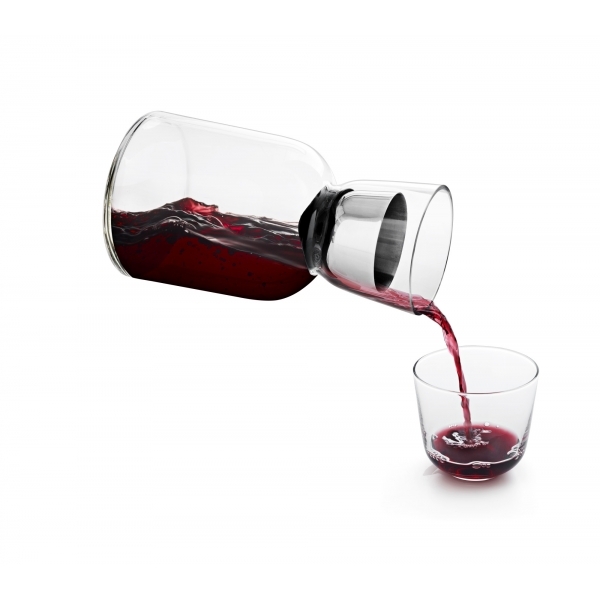 The challenge was to create a product with a visually dramatic wine breathing process to develop Menu’s portfolio of wine accessories. 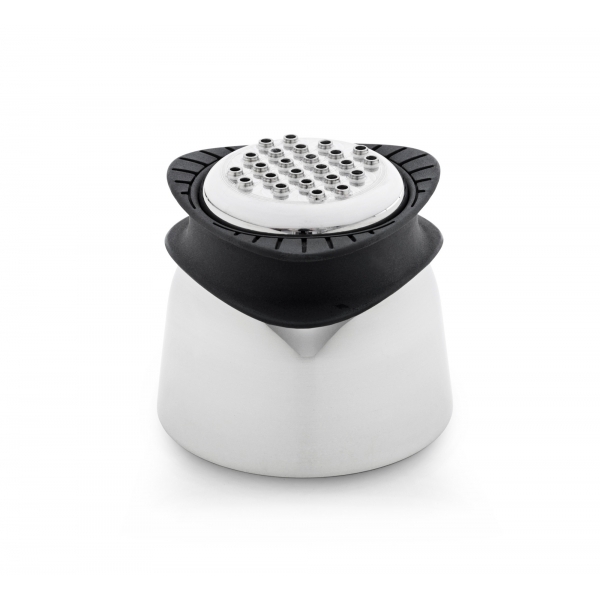 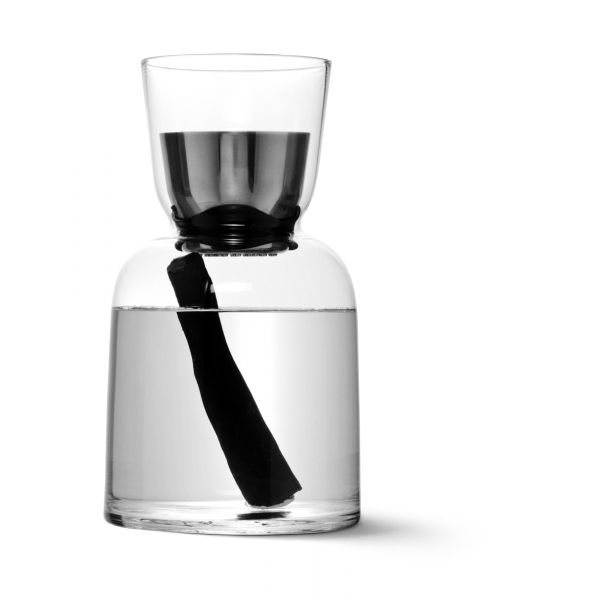 Benjamin Hubert Ltd created over twenty prototypes of the W/W carafe during the design process to test the flow of wine and obtain the maximum aeration. 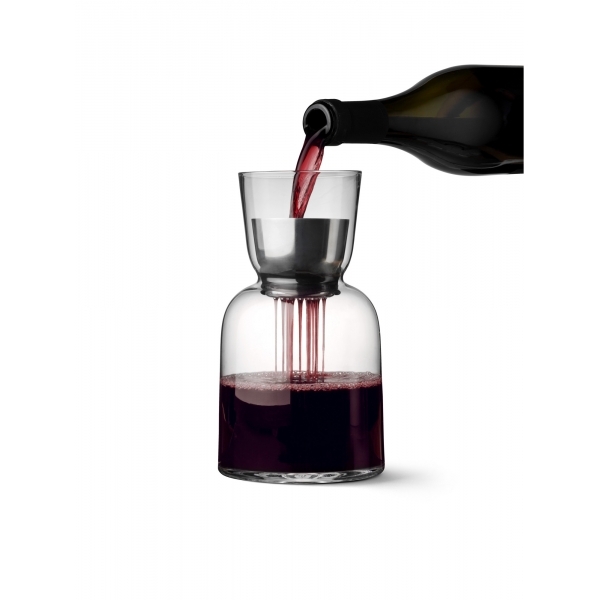 The final ‘raining’ process is both visually arresting and, as the wine is poured from the bottle into the carafe, increases the surface area of the wine by eight times a normal pour from the bottle – thus providing 800% aeration and im- proving the wine’s flavour. 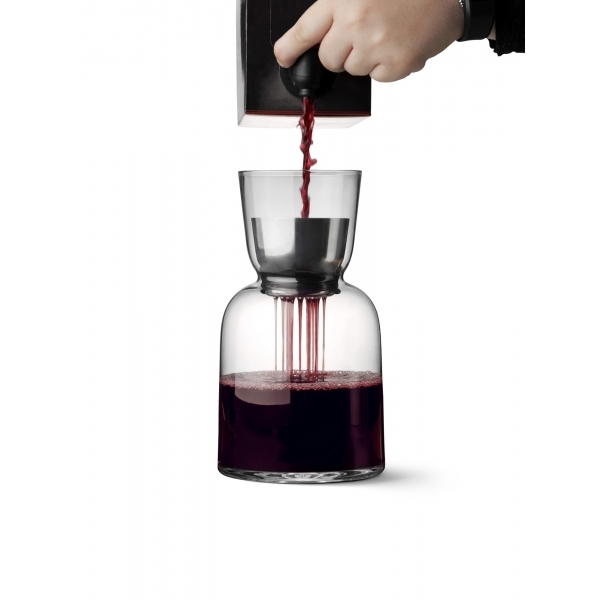 The wine can then be easily served from the carafe, making the process simple and efficient. The new carafe is called WW, which stands for ‘water’ and ‘wine’, as it can be used to serve a variety of beverages. 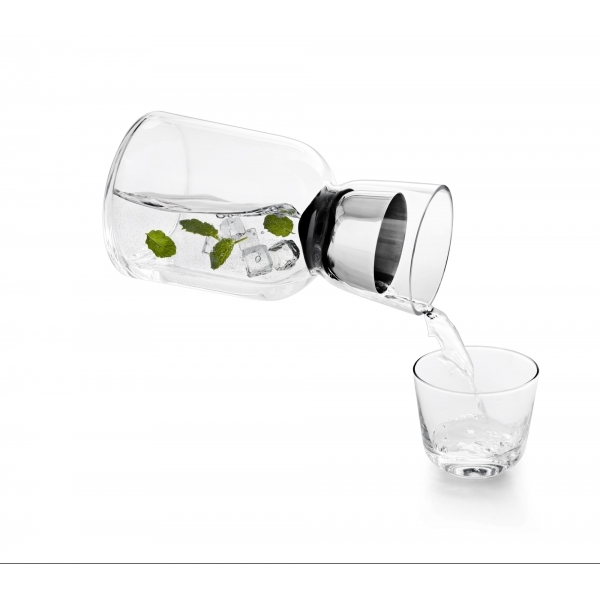 When serving water or soft drinks from the W/W carafe, the rubber seal and stainless steel breathing device prevent ice and garnishes, such as fruits and herbs, from splashing into the glasses. 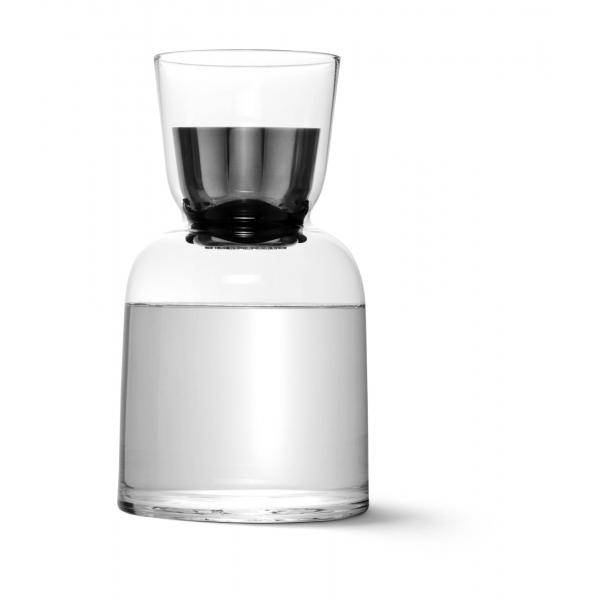 The W/W carafe is crafted from mouth-blown glass with an silicon seal that is friction-fitted over a stainless steel ‘breather’ component. 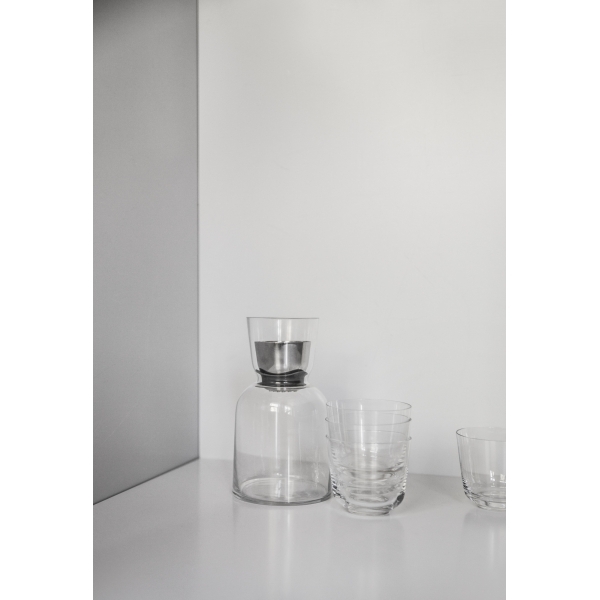 The set of four mouth-blown glasses stack inside the neck of the carafe for easy storage and transportation to the table. 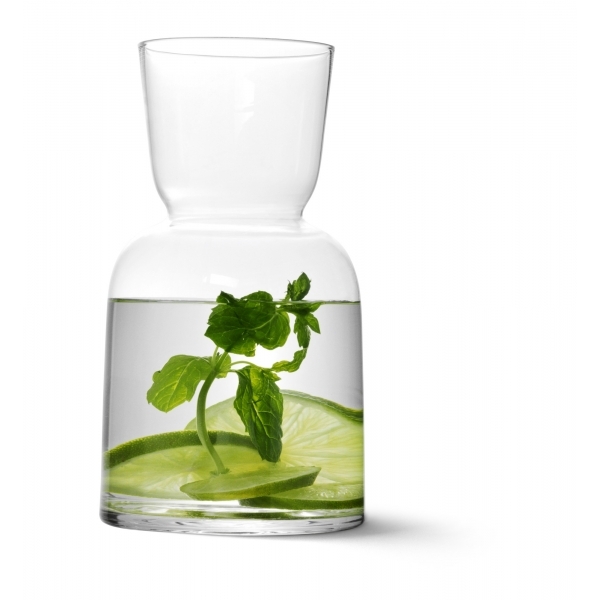 Size: Carafe, H: 20,5cm D: 11,5cm.